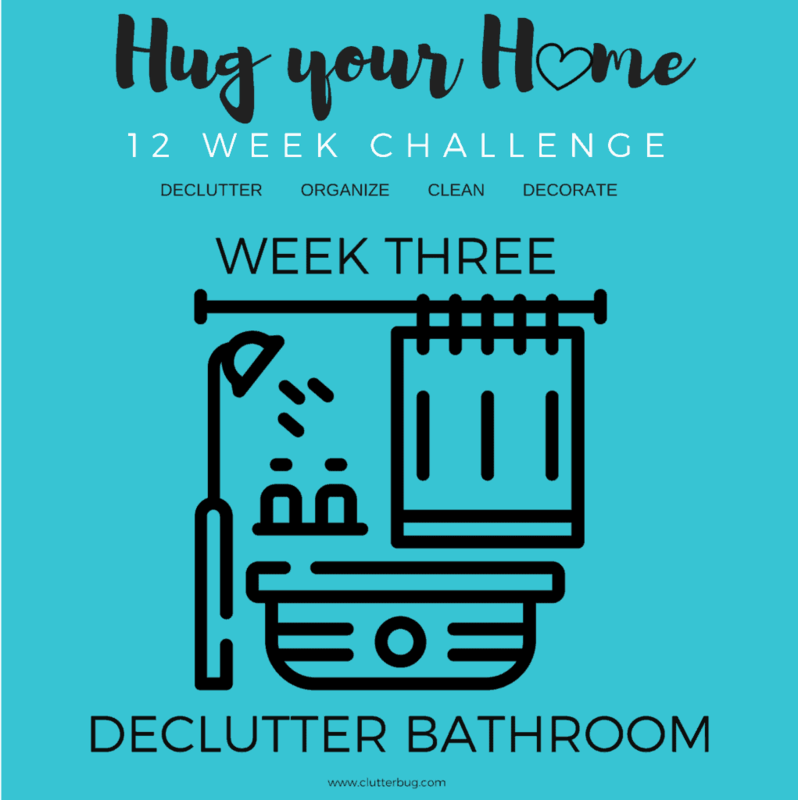 It’s already week three of our Hug Your Home 12 week challenge and this week it’s all about decluttering the bathroom. 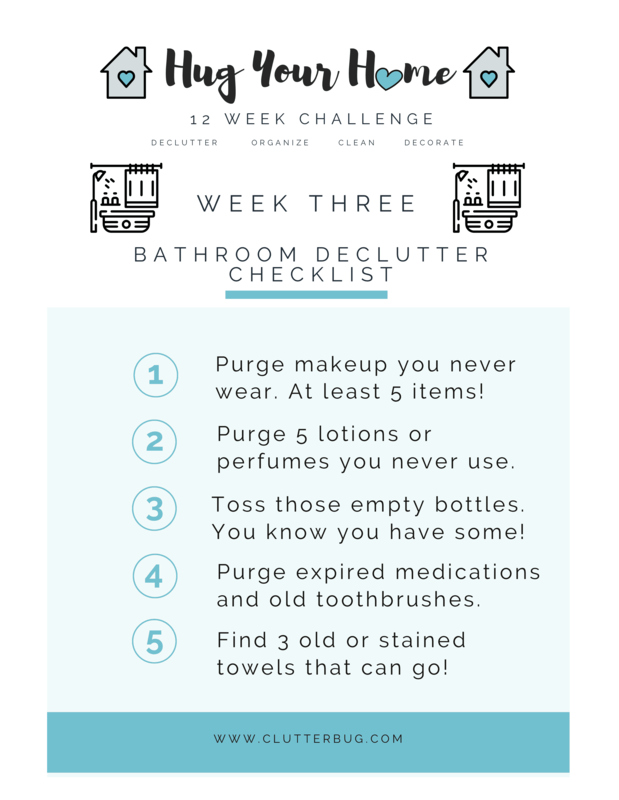 I want these challenges to be quick and easy for you, so don’t worry about organizing the bathroom quite yet…that challenge comes later! This week we are only focusing on doing a quick purge of expired medication, makeup and products we never use. You can download this checklist and follow along. Remember, this checklist is just the BARE MINIMUM, I hope you find much more to let go of this week! 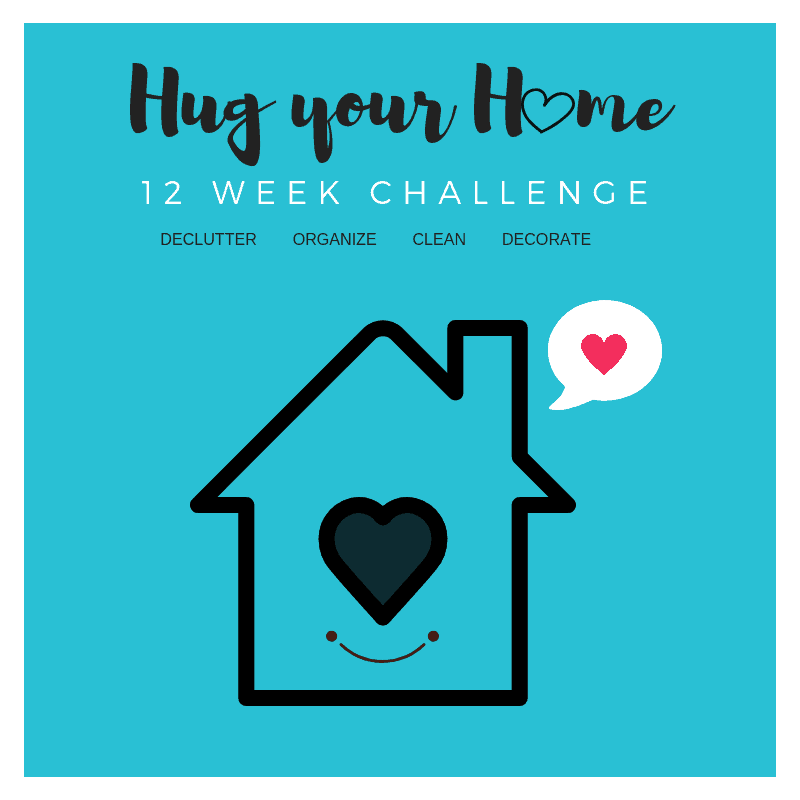 You can check out the video for this week’s challenge on my YouTube channel and be sure to stay tuned for next week when we declutter toys!